Golf client reviews from Malaga Airport Transfers. We have two golf reviews to report, one from Richard Wallis and the another from Glenn Rudkin. We have the clients permission to publish their surveys which are at the foot of the page. The ratings are as follows: 5 excellent, 4 very good, 3 average, 2 poor, 1 very poor. Richard Wallis was one of a group of 12 golfers to visit the Costa Del Sol on the 14-09-18, staying at Hotel Las Palmeras in Fuengirola. Glenn stayed for 4 nights playing three rounds of golf. They voted Mijas golf Olivos a 4, Santana 5 and Torrequebrada 4. 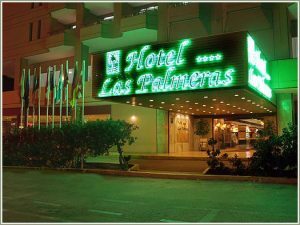 Hotel Las Palmeras was rated as a 2 (poor), places to eat and night life a 3 (average). Mooches was named as best restaurant and Bar Atlantis as favourite bar. The group of 12 travelled from Leeds Bradford with Jet2 to Malaga Airport naming Jet2 as their favourite airline. In other comments Richard wrote “Malaga minibus-excellent”. Malaga minibus is the name of the limited company that owns malagaairporttransfers.com. John and Michael would like to thank Richard for the kind words and will inform the drivers of Malaga Airport Transfers involved in their transfers. 12 golfers with golf bags, suitcases and hand luggage would be transferred from Malaga Airport and back on their return date for 132 euro and to the golf courses and back for 120 euro each day a total of 492 euro. Glenn Rudkin and friends stayed at apartments in urbanization Los Naranjos Puerto Banus .They voted a 4 to accommodation, places to eat and night life. The group played four golf courses Torrequebrada 4, Calanova 4, Santa Maria 5 and Alcaidesa Links 4. Favourite restaurant was Orange Tree in Marbella and best bar as Daves bar. The guys stayed for 5 nights and travelled from East Midlands airport to Malaga Airport with Ryan air voting Jet2 as their airline of choice. 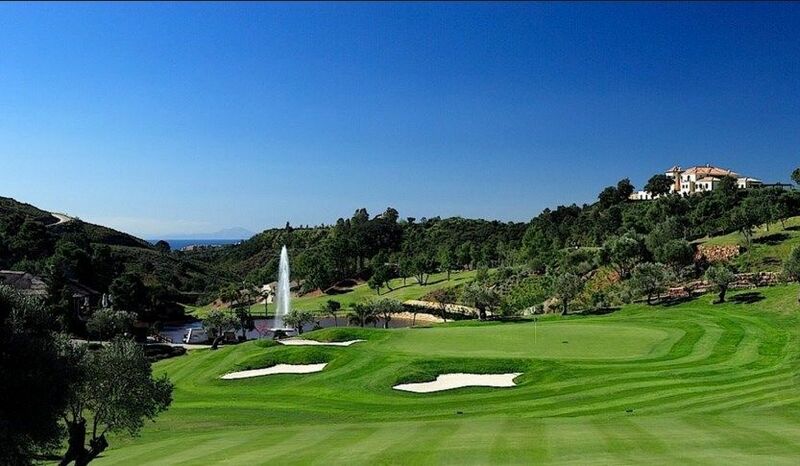 A transfer for 12 golfers from Malaga Airport to Puerto Banus and return on last day with clubs and luggage would cost them 236 euro, that is 118 each way. Malaga Airport Transfers would charge 520 euro for the 4 golf course return transfers listed above.